Journey to space in Lost on Mars, the second DLC expansion for Far Cry 5. Leave Earth behind and go toe-to-claw against Martian arachnids to save the world from an alien invasion. Also available in the Far Cry 5 Gold Edition and Season Pass. 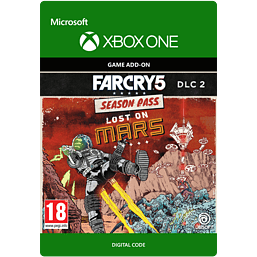 Please Note: Lost On Mars expansion pack requires Far Cry 5 base game to play.